Shot 500 rounds in 3 different sessions throughout the week without cleaning and performed flawlessly. Shot through a diamondback db15 no ftf or fte to report, I'll be buying more! 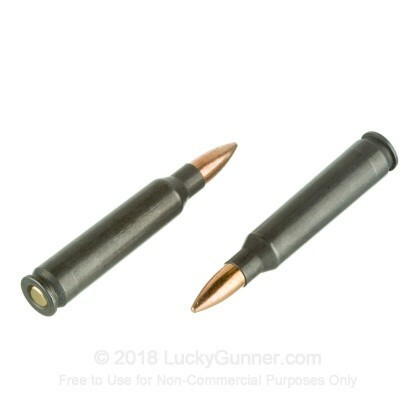 The Best Steel Cased Ammo !! For plinking, I use cheap Russian steel case ammo. I've gone through thousands upon thousands of rounds through the year. 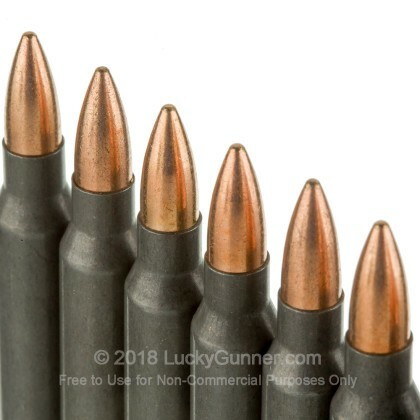 And out of all the different companies making steel cased .223 ammo, this Wolf ammo has outstanding reliability and performs better that Tula and Brown Bear. 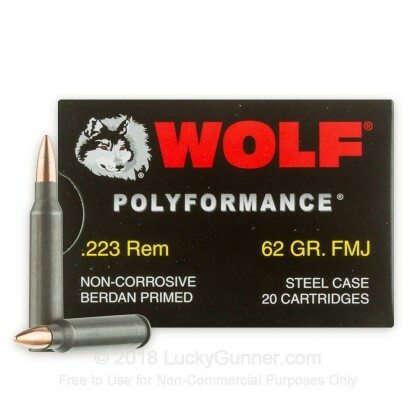 I no longer buy Tula steel cased ammo because Wolf has proven itself time and time again. I've run through a few hundred rounds without issue and don't feel guilty about burning them off for fun. 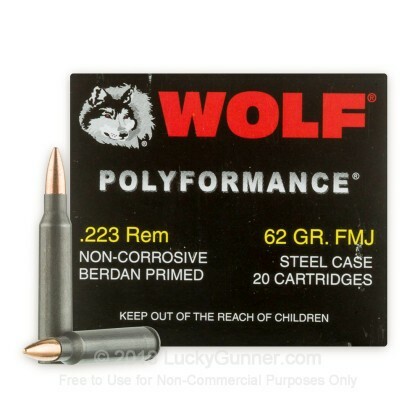 We also have this 223 Rem - 62 Grain FMJ - Wolf WPA Polyformance- 20 Rounds ammo in stock in a smaller quantity.